I discovered Marlen Haushofer’s ‘The Wall’ through Caroline’s (from Beauty is a Sleeping Cat) review of the film version of the book. It looked like a dystopian novel and I also suspected that Stephen King’s ‘Under the Dome’ was inspired by Haushofer’s book in some ways. Something about the book tugged at my heart, and I couldn’t articulate it then. So, I went and got the book and started reading it last week. I finished reading it yesterday. Here is what I think. The story told in ‘The Wall’ is simple. The nameless heroine, a forty-something year old woman, goes on a holiday to the forest with her cousin and her cousin’s husband. They stay in a hunting lodge. The plan is to spend a few days there and relax and maybe do some hunting. The cousin and her husband leave our heroine during the evening and go to the nearby village. They leave their dog Lynx behind. It is late evening and the couple still haven’t come back. Our heroine has dinner, feeds the dog and goes to bed. When she gets up the next day morning, there is still no sign of her cousin and her husband. Our heroine and Lynx take a walk and during the course of that, she discovers that there is a transparent wall which has suddenly come up and it has shut her off from the village and from the rest of the world. (I don’t know whether it is true or whether it is just me noticing similarities between the two novels – in Stephen King’s ‘Under the Dome’ a giant dome suddenly covers a town one day, cutting it off from the rest of the world. Looks eerily similar to Haushofer’s wall.) It is only her and Lynx and maybe some wild animals in her part of the world. She hopes that in the next few days someone will come and rescue her. But nothing happens. As every day passes, the heroine realizes that no one is going to come. She also discovers something strange. She looks through the wall to the other side and discovers that there is no life on the other side. She discovers animals and people who are dead – it looked like some people had died while they were in the middle of doing something. It looked like some major catastrophe had struck the world and she and Lynx have survived it by luck. Then one day a cow walks into her life. And later a cat. And our heroine decides to take care of them and dedicate her life to everyday activities – taking care of her animals, getting food, managing the place like one does a farm. The rest of the story is about what happens in the life of these four characters (and more which join them later). I loved Marlen Haushofer’s book. ‘Loved’ is an understatement. It deeply touched me and pulled all kinds of strings in my heart. I read it very slowly to make the reading experience last longer. I didn’t want it to end and I was sad when I crossed the last page. Normally after I finish reading a book, I take it to the next room (I keep unread books in one room and read books in another) and put it on top of the latest read pile. I look at that read book pile once in a while and try to remember which books I liked and which were my favourite scenes and passages. Sometimes I take out a book and read some of my favourite passages. But I rarely re-read a book. So, once a book reaches the next room, it almost always stays there. But, once in a blue moon a book comes along which resists that move. I am unable to take that book to the next room. My heart refuses to let go of the book. I carry the book everywhere and keep it with me and re-read my favourite passages many times. I keep that book on my study table or on my nightstand and keep looking at it. ‘The Wall’ is that one book which comes once in a blue moon. I don’t think I will be able to let go of it, anytime soon. I am not sure I will be able to let go of it, ever. While reading the book, I felt that the Marlen Haushofer had poured her heart and soul into every page of the book and the whole book glows with her inner beauty. It made me think of the kind of beautiful person she must have been. There is beauty in every page of the book and in every scene. When I read the sentence – ‘So there I was in a wild and strange meadow in the middle of the forest and suddenly I was the owner of a cow’ – it makes me smile again, like it did when I read it the first time. When I read this passage – ‘The little one’s nature was rather different from other house-cats; more peaceful, gentle and tender. She would often sit for ages on the bench in front of the house watching a butterfly’ – it makes my heart glow with pleasure, like it did the first time. The author gives the reader an idea of what is going to happen at the end of the book, and so I was dreading when I reached the last part of the book. My dread increased with every page, because joy, beauty and happiness continued to flow from the pages of the book and I was hoping against hope that what the author was hinting at was not to be. Well, the heartbreaking thing did happen at the end. But the ending of the story was life affirming too. I finished reading the book yesterday, but I still can’t stop thinking about the heroine, Lynx the dog, the cat, Pearl the kitten, Tiger the tomcat, Panther his brother, Bella the cow, Bull her son – they haunt me in my dreams in gentle ways. I have read some wonderful books this year but I have no hesitation in saying this – ‘The Wall’ is my favourite read of the year. I am planning to read some wonderful books in the coming months, but I don’t think there is any book which is going to nudge it even gently from that position. It is also one of my favourite books ever. I am planning to read it again later this year. If you haven’t read ‘The Wall’ yet, I am jealous of you. Because when you get to read it, you are going to experience the pleasure and delight and joy of reading it for the first time. But I hope that you don’t keep me jealous for long. I hope you go out and get the book and read it now. I hope to watch the film version of ‘The Wall’. I can’t imagine how a film can be made of this beautiful book, but I would like to find out. I also discovered that there are two other Marlen Haushofer books available in English translation – ‘The Loft’ and ‘Nowhere Ending Sky’. I hope to read them sometime. I will leave you with some of my favourite passages in the book. It was very hard for me to choose a few passages and leave others out, because every passage was beautiful and quotable. Lynx was very cheerful, in very high spirits, but an outsider probably wouldn’t have noticed the difference. He was, after all, cheerful almost all the time. I never saw him stay sulky for more than three minutes. He simply couldn’t resist the urge to be cheerful. And life in the forest was a constant temptation to him. Sun, snow, wind, rain – everything was a cause for enthusiasm. With Lynx nearby I could never stay sad for long. It was almost shaming that being with me made him so happy. I don’t think that grown animals living wild are happy or even content. Living with people must have awoken this capacity in the dog…Sometimes I even imagined there must be something special about me that made Lynx almost keel over with joy at the sight of me. Of course there was never anything special about me; Lynx was, like all dogs, simply addicted to people. That summer I quite forgot that Lynx was a dog and I was a human being. I knew it, but it had lost any distinctive meaning. Lynx too had changed. Since I’d been spending so much time with him he had grown calmer, and didn’t seem constantly afraid that I might vanish into thin air as soon as he went off for five minutes. Thinking about it today, I believe that was the only big fear in his dog’s life, being abandoned on his own. I too had learned a lot more, and understood almost all his movements and noises. Now, at last, there was a silent understanding between us. If it’s raining, or if there’s a storm, the cat tends to become melancholy, and I try to cheer her up. Sometimes I succeed, but generally we both sink into hopeless silence. And very rarely the miracle happens : the cat stands up, presses her forehead against my cheek and props her front paws on my chest. Or she takes my knuckles between her teeth and bites at them, gently and daintily. It doesn’t happen terribly often, for she’s sparing with proofs of her affection. Certain songs send her into raptures, and she pulls her claws over the rustling paper with delight. Her nose gets damp, and a gleaming film comes over her eyes. All cats tend toward mysterious states; then they are far away and entirely impossible to reach. Pearl was in love with a tiny red velvet cushion that had belonged to Luise. For her it was a magic object. She licked it, scratched runnels through its soft nap and finally rested on it, white breast on red velvet, her eyes narrowed to green slits, a magnificent fairy-tale creature. All my cats have had a habit of walking around their bowls after eating and then dragging them along the floor. I don’t know what it means, but they do it every time, without fail. In general, cats obey a practically Byzantine series of ceremonies and take it very badly if you disturb them during their mysterious rites. In comparison with them, Lynx was a shameless child of nature, and they seemed to hold him rather in contempt for that. When I combed Bella I sometimes told her how important she was to us all. She looked at me with moist eyes, and tried to lick my face. She had no idea how precious and irreplaceable she was. Here she stood, gleaming and brown, warm and relaxed, our big, gentle, nourishing mother. I could only show my gratitude by taking good care of her, and I hope I have done everything for Bella that a human being can do for their only cow. She liked it when I talked to her. Perhaps she would have liked the voice of any human being. It would have been easy for her to trample and gore me, but she licked my face and pressed her nostrils into my palm. I hope she dies before me; without me she would die miserably in winter. In my dreams I bring children into the world, and they aren’t only human children; there are cats among them, dogs, calves, bears and quite peculiar furry creatures. But they emerge from me, and there is nothing about them that could frighten or repel me. This autumn a white crow appeared. It always flies a little way behind the others, and settles alone on a tree avoided by its companions. I can’t understand why the other crows don’t like it. I think it’s a particularly beautiful bird, but the other members of its species find it repugnant. I see it sitting alone in its spruce-tree staring over the meadow, a miserable absurdity that shouldn’t exist, a white crow. It sits there until the great flock has flown away, and then I bring it a little food. It’s so tame that I can get close to it. Sometimes it hops about on the ground when it sees me coming. It can’t know why it’s been ostracized; that’s the only life it knows. It will always be an outcast and so alone that it’s less afraid of people than its black brethren…I want the white crow to live, and sometimes I dream that there’s another one in the forest and that they will find each other. I don’t believe it will happen, I only wish it very dearly. Only much later, up in the pasture, did I actually see an adder. It lay sunning itself on a scree slope. From that point on I was never afraid of snakes again. The adder was very beautiful, and when I saw it lying there like that, entirely devoted to the yellow sun, I was sure it had no intention of biting me. Its thoughts were remote from me, it didn’t want to do anything but lie in peace on the white stones and bathe in sunlight and warmth. It’s never entirely silent in the forest. You only imagine it’s silent, but there is always a whole host of noises. A woodpecker taps in the distance, a bird calls, the wind hisses through the grass in the forest, a big branch knocks against a tree-trunk, and the twigs rustle as little animals scurry around. Everything is alive, everything is working. But that evening it really was almost silent. In cyclamen flowers the red of summer combines with the blue of autumn into a pinkish purple, and their fragrance recaptures all the sweetness of the past; but as you inhale it for longer, there is a quite different smell behind it : that of decay and death. I have always considered the cyclamen a strange and rather frightening flower. 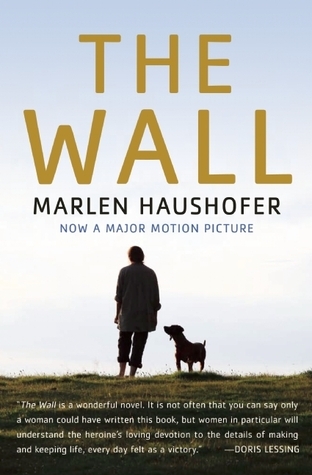 Have you read Marlen Haushofer’s ‘The Wall’? What do you think about it? After I read Andrè Breton’s ‘Nadja’ earlier this year, I was thinking of reading more surrealistic novels. Caroline from Beauty is a Sleeping Cat suggested Boris Vian’s ‘Foam of the Daze’. I have never heard of Boris Vian or his book. So, I thought it will be nice to try a new author. I finished reading it yesterday. Here is what I think. 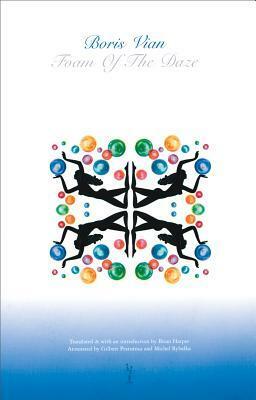 I don’t know how to write about ‘Foam of the Daze’ because it is a complex book. The basic story is simple. Colin and Chick are friends. Nicolas is Colin’s butler. Colin is in love with Chloe and Chick is in love with Alise. Colin and Chloe meet at a birthday party hosted by another of Colin’s friends Isis. Chick and Alise first meet at a talk given by writer-philosopher Jean Sol Partre (doesn’t that name sound suspiciously familiar J) The main characters are all in love and they are all very happy. Colin has enough money to not work. Chick has to work and earn his living, but he is happy because he is in love. He also loves books, sometimes obsessively. He collects any book written by Jean Sol Partre and many times buys books that he cannot afford. (Chick reminded me of myself years back when I used to spend all my money on books and even ended up in debt because of that. It felt strange seeing a fictional version of myself in a 1947 novel.) Of course, this perfect scenario cannot continue forever. If it does, then the story would be boring, wouldn’t it? Colin and Chloe get married. And one day Chloe starts coughing. And her health starts getting worse. The doctor comes and does some tests. He tells Colin and Chloe that there is a flower growing in one of Chloe’s lungs. (I am guessing that the flower stands for cancer). He says if the treatment that he is giving doesn’t work, then an operation has to be done to remove the flower. The doctor’s medicines don’t have much effect. Chloe goes through an operation. Things seem to become better. But then one day she starts feeling weak again. The doctor comes and does tests. He tells her that a flower is growing now on the other lung. Colin’s world collapses. He spends all his wealth in treating his beloved Chloe. Now he has to go to work to make ends meet. On the other hand, Chick spends all his money in buying books and literary memorabilia – first editions, the pipe smoked by his favourite writer and things like that. He loves Alise, but he feels that with his obsessive book-buying habit and lack of wealth he can’t make her happy. Is Chloe able to come through the crisis? What happens to Chick and Alise? Will Colin and Chloe and Chick and Alise live happily ever after? The answers to these questions form the rest of the story. Colin led him as far as the door of the room and suddenly remembered something. – Be careful going in, he said, it’s round. – No! said Colin. Don’t be stupid. The room is round. – Entirely round? Asked the professor. You played an Elllington record then? In another scene, there is a description of a device called the pianocktail which Colin has invented. Depending on the musical piece that is played on it and the mood that the music evokes, the appropriate drink comes out of this device which totally represents the essence of that mood. There are many scenes like this, where the physical world changes in unusual and fantastic ways to depict a particular mood, color, feeling, emotion or to evoke a distinctive atmosphere. Reading this gives a lot of pleasure to the reader. I found that image of a flower growing in Chloe’s lung quite beautiful, though terrible. Colin has a pet mouse which is one of the fascinating characters in the story. The main characters – Colin, Chloe, Nicholas – love it and talk to it, and though it doesn’t talk, it seems to understand what they say. It is also extremely loyal and though circumstances change for Colin and Chloe, the mouse sticks with them till the end. The last scene of the book involves the mouse and it is quite heartbreaking. Jazz music plays an important part in the book. There are many jazz references including those to the music of Duke Ellington, who is Colin’s favourite. As the story progresses, the music changes in tone depicting the sadness which creeps into the story. The book has a forty page ‘notes’ section, and a significant part of it is dedicated to explaining the jazz references in the story. The ‘Notes’ section considerably enriches our reading experience. French : Le plus clair de mon temps, dit Colin, je le passe à l’obscurcir. Actual English translation : I spend the better part of my day, said Colin, contemplating the night. Alternative English translation : I spend the brightest part of my day, said Colin, darkening it. The second translation is more beautiful, isn’t it? Just makes me think that sometimes the unused translation (and the unpublished poem or book) might be more beautiful than the official version. ‘Foam of the Daze’ is a fascinating, surrealistic, fantastic love story with a heartbreaking ending. It addresses all the great themes – youth, loss of innocence, love, loss, death, the soullessness of mind numbing but inevitable work – and it does all this in an inventive, imaginative, novel, unique and original way. If you like stepping out of your comfort zone and trying something new, you should give Boris Vian’s book a try. It will reward you for taking the risk with a rich reading experience. I will leave you with the link to a beautiful review of the book by Xiaolu Guo, and some of my favourite passages from the book. Nicolas was returning; he was holding an enormous cake. – It’s a supplementary dessert, said Nicolas. Colin took a knife and stopped right before cutting into the smooth surface. – It’s too beautiful, he said. We’re going to wait a little. Chloe had red lips, brown hair, seemed happy and her dress had nothing to do with it. She saw by the means of open blue eyes, and her total volume was limited by fresh and golden skin. He was almost always in a good mood, the rest of the time he slept. The sun, too was waiting for Chloe, but it could have fun making shadows, or helping wild beans sprout in convenient cracks; it could fling open shutters and shame a street lamp still lit because of the recklessness of an electric company technician. You’re both saying the same thing, but you don’t agree, said Colin, therefore either one of you is lying or both of you are. What interests me isn’t the happiness of all men, it’s the happiness of each one. – Is it their fault if they think that it’s good to work? – No, said Colin, it’s not their fault. It’s because they’ve been told : work is sacred, it’s good, it’s nice, it’s what counts before anything, and only those who work have the right to everything. The only thing is, it’s been set up so that they work all the time so they can’t take advantage of it. – But then they’re stupid, said Chloe. – Yes, they’re stupid, said Colin. That’s why they agree with those that made them believe that work is the best thing there is. That saves them from thinking and finding a way to progress and to no longer work. He vigorously pinched the extremity of a ray of sunshine that was about to reach Chloe’s ear. It retracted itself lazily, and started to stroll along the furniture in the room. Colin had sat down on the floor to listen, leaning against the pianocktail, and he cried large tears in soft elliptical forms that rolled down on his clothing and disappeared in the dust. The music that went through him came out filtered, and the tune that came out resembled much more closely Chloe than Blues of the Vagabond. – Your work doesn’t bring you any money? asked the professor. – No, said Colin. I don’t work in the way people usually understand the word. – I need money, said Colin. – That’s not unusual, said the man, but work makes you philosophical. After three months, you’ll need it less. Have you read Boris Vian’s ‘Foam of the Daze’? What do you think about it? I have a story and then a question for you. Here is the story. The main character, our hero, has amnesia. He doesn’t remember anything from his past. Someone is nice to him and gets him new papers and a new identity. But our hero wants to discover his past and find out who he really is. So one day he takes the flimsy clues he has and starts working on them. He meets some people who seem to remember him vaguely. One thing leads to another and he sees someone resembling himself in a photo. He tries tracking down the other people in the photo. After following up a clue, he realizes that he is one person. But then he reaches a dead end and then he follows another clue and he realizes that he is another person. This continues fascinatingly as our hero tries to grapple with his past as more people resembling him keep cropping up and he discovers secrets about people he might have known, without discovering who he actually is. Does our hero find out who he truly is? Now, the question. Does the above plot sound familiar? Can you guess which novel it is? Of course you do. If we let our imagination run a little bit wild and add a bullet wound to our hero which made him amnesiac and forget his past, and add a few bad guys who chase our hero for something that he may or may not have done, we can easily guess that this is the story told in ‘The Bourne Identity’ by Robert Ludlum. Well, you and I would be both right and wrong. Interestingly, the idea behind the Bourne trilogy was conceptualized after his (Ludlum’s) own experience with temporary amnesia. After his first book, The Scarlatti Inheritance, was published, he could not remember 12 hours of his life. This event, combined with thrilling real-life spy stories, inspired him to write the Jason Bourne trilogy. We will never know what the truth is because Ludlum is not around to confirm whatever theory one might come up with, but it was fascinating for me to spot this random connection and potential inspiration. Now a closer look at Modiano’s book. Modiano’s book won the Prix Goncourt in 1978. So when we look beyond the plot similarities that it has with Ludlum’s book, it is very different. It is literary. There are beautiful images that Modiano paints throughtout the book. He pronounced the name in the Russian way. It was very soft, like wind rustling in the trees. He handed me the photographs one by one, telling me the names and dates he read on the back : it was a litany, to which the Russian names lent a particular resonance, now explosive like cymbals clashing, now plaintive or almost mute. A fog had come up, soft but with an icy feel to it. It filled your lungs with such cold that you felt you were floating on air. …the sound of it stirred something in me, something as fleeting as moonlight passing over some object. …a tune, played on the saxophone, followed, so pure it melted into the air. I believe that the entrance halls of buildings still retain the echo of footprints of those who used to cross them and who have since vanished. Something continues to vibrate after they have gone, fading waves, but which can still be picked up if one listens carefully. …when I sipped this liqueur, it blended in with the rather cloying satins, ivories and gilt around me. It expressed the very essence of this apartment. Until now everything has seemed so chaotic, so fragmented…Scraps, shreds have come to light as a result of my searches…But then that is perhaps what a life amounts to..
Is it really my life I’m tracking down? Or someone else’s into which I have somehow infiltrated myself? Fascinating lines which make us think. Does Guy Roland find out about his past? You have to read the book to find out. I liked ‘Missing Person’ very much. It was partly a mystery story and partly a meditation into the meaning of identity. I loved imagining the beautiful images that Modiano paints throughout the book. The ending is a bit open, which also made it interesting and which would have led to a lot of conversations and debates when the book was first published. This is my first Prix Goncourt book and I am hoping to read more in the future. 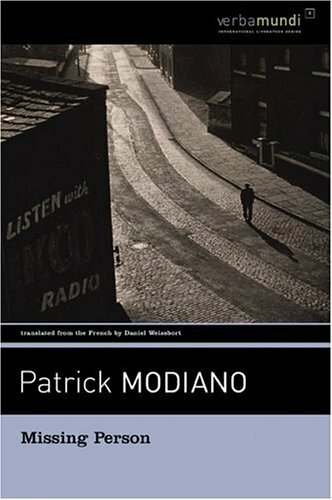 Have you read Patrick Modiano’s ‘Missing Person’? What do you think about it? I have read Vikram Seth’s ‘A Suitable Boy’ and ‘An Equal Music’ and liked both of them very much. ‘A Suitable Boy’ was the longest book that I had ever read at the time I read it – at 1360 pages, it comfortably beat its competition which included ‘Gone with the Wind’ by Margaret Mitchell (1106 pages) and ‘Destiny’ by Sally Beauman (960 pages). I think it still is the longest I have ever read. However after reading ‘An Equal Music’, I liked it a little bit more. I have wanted to read his novel in verse ‘The Golden Gate’ since then. When the book club I am part of, decided to read ‘The Golden Gate’ this month, I was quite excited. ‘The Golden Gate’ is set in California in the middle ‘80s. It follows the lives of a five characters who are all in their middle twenties. John is working in an electronics / computer firm. He is successful in his work and is happy with his job. But he doesn’t have a life outside work. He used to date Janet but that didn’t work out, though they are still friends. So now, he is a lost soul outside his work and feels that life doesn’t seem to have any meaning. Janet offers to help him. She puts an ad in the personal section of the local paper. John gets many responses and he meets some of the women who wrote to him. One of them, Liz, is a lawyer. John hits it off with her in a big way and realizes that they are perfect together. Things move at a breakneck pace and before they realize it, John and Liz are living together. Meanwhile, John’s friend Phil, has left the technology company he was working in and organizes protests against nuclear weapons. John is not able to understand why he does that. Once, John and Liz bump into him at a concert. They invite him to a party that they are holding. Phil is divorced from his wife and has a son who lives with him. Phil goes to the party and meets Liz’ family. At some point Phil meets Ed, Liz’ brother and they fall in love. Phil and Ed enjoy the passionate evenings that they spend together, but Ed is also a staunch Christian and so feels that what he is doing is sinful. Phil and Ed have long conversations about that. I think I will break off here. I don’t want to continue and tell you the rest of the story. I think I will recommend that you read the book for that. If I have to give you a clue, it is this – one thing leads to another, there are a few surprises in store as the love lives of Phil and Ed and John and Liz don’t go according to plan, and there is an unexpected ending. “…Don’t put things off till it’s too late. Leave little time for life’s digressions. His hands, as if it’s never been. But rather to update the news. 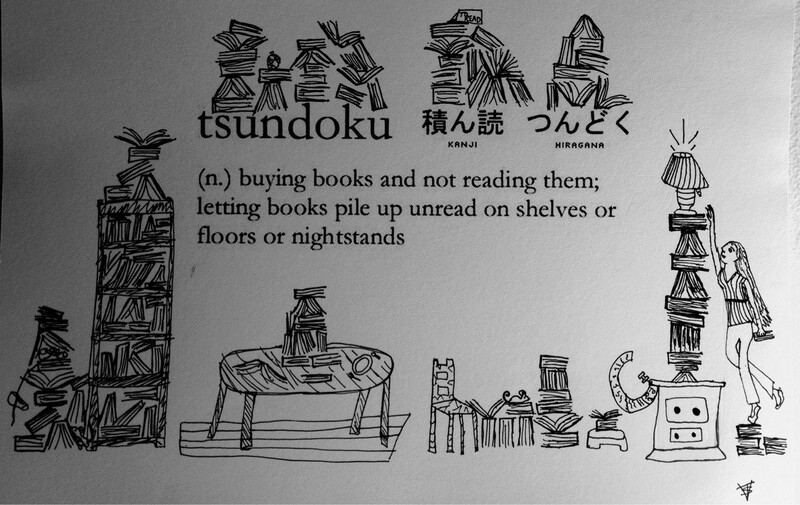 I do is buy books. I can’t read ‘em. My favourite characters from the book were Phil and Charlemagne, Liz’ cat. I also liked Janet and Liz. But I have to say that most of the characters were interesting in their own way. The story has an unexpected ending. I was disappointed with it, because I felt that the author introduced a deliberate twist to break readers’ hearts, but on thinking about it and discussing it with friends, I realize that there is a beauty to it too. I couldn’t have put it better. Whether you love poetry or you get intimidated by it, I think you will like ‘The Golden Gate’. 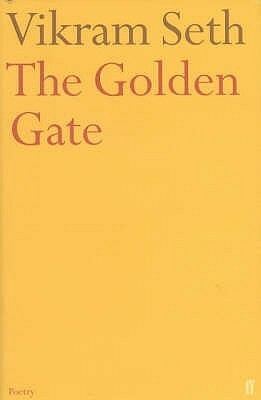 Have you read Vikram Seth’s ‘The Golden Gate’? What do you think about it? I discovered Emma Brockes’ ‘She Left Me the Gun’ through Claire’s (from Word by Word) review of it. Something about the book pulled me in – probably a combination of the main theme of the book, the subtitle ‘My Mother’s life before me’ and what I read in Claire’s review. I read memoirs only once in a while, but I thought I should read this. I finished reading it yesterday and here is what I think. 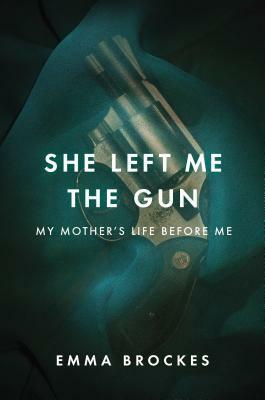 ‘She Left Me the Gun’ is Emma Brockes’ memoir about her mother. Emma Brockes’ mother had come from South Africa to work and live in London in the ‘60s, and Emma has heard some stories about that from her mother while growing up. But she doesn’t know why her mother moved so far away from her family to live in a different country. She also gets to know that her mother has a large family – many brothers and sisters, some of whom visit England – and Emma doesn’t know how her mother managed to live away and apart from them for decades. Her mother hints in passing about some kind of dark secret about her past, concerning her father and the case she filed against him in the South African court and promises to tell Emma more about it in the future. Unfortunately, that conversation never happens and Emma’s mother dies of cancer. Later, Emma decides to do some research into the case that her mother filed against her grandfather and she discovers some shocking things about her grandfather. Emma decides to travel to South Africa and meet her uncles and aunts and find out more. The rest of the book is about Emma’s journey to the past and what she discovers there about her mother’s life before she was born and the secrets that she uncovers about her mother’s family. This is a sentence which most of us would probably relate to and agree with. When Emma starts her journey into her mother’s past, she discovers a totally different woman and facets of her mother’s personality that she didn’t even know existed. She also gets to know the shocking secrets of her mother’s life and the way her mother has survived the trauma to reinvent herself and rediscover happiness. And during her journey to South Africa she also gets to know the country and its people and discover her relatives and learn to like and understand them in different ways. I don’t know what else to say about the main theme of the book, because they will all be spoilers. I was quite disappointed with the book description on the inside flap, which was a summary of the book, which revealed most of the surprises. I think book descriptions and book blurbs should inspire the reader to read the book and discover more, rather than giving a summary of the book and revealing surprises for the reader. Earlier, introductions written for books used to do that – reveal spoilers – but now book blurbs are doing that. It is sad. Emma Brockes herself hints at the dark secrets in her mother’s life and we more or less know what it is. I wish the revelations had come out gradually and naturally. After around three-fifths of the book is over, the book takes a bit of a roller coaster ride because Emma Brockes starts talking more about her South African experiences – her exploration into South African history, her trip to Soweto, her meeting of Nelson Mandela – which weakens the main focus of the book. Luckily, after a while, the book returns back to its main theme – her mother and her family history. Having given the bad news, now I have to state the good news. ‘She Left Me the Gun’ is a beautiful book. It is depressing and haunting, because of the events it describes and the secrets it reveals. But it is beautiful too, because of the way Emma’s mother comes out of the traumatic events which affected her to build a life which is filled with beauty and happiness and brings joy and happiness and camaraderie to the people who touch her – her family, her friends, her colleagues, her boss. Though the secrets revealed are dark and depressing, the book is ultimately life affirming and I loved the book for that. I also liked other aspects of the book – the cover was beautiful, soft to the touch with a matte finish. The font was beautiful and it was a pleasure to read. I enjoyed reading ‘She Left Me the Gun’. Enjoyed is actually the wrong word. It left a deep impression on me. It was depressing, haunting, inspiring and life-affirming. I hope to find out what Emma Brockes comes up with next. Have you read ‘She Left Me the Gun’? What do you think about it?